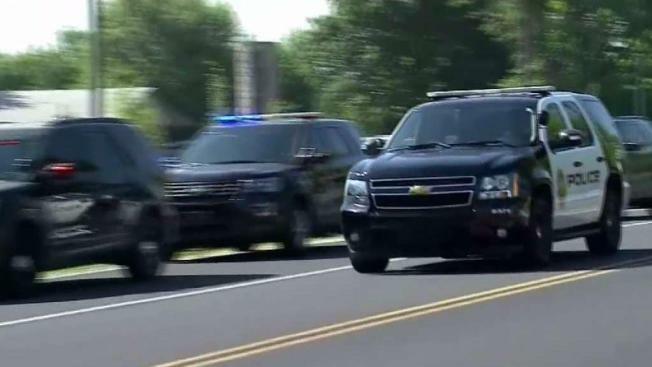 The boy is accused of shooting teacher Jason Seaman and 13-year-old classmate Ella Whistler on May 25 at Noblesville West Middle School. A 13-year-old boy has shown no remorse for shooting his teacher and a classmate at his Indianapolis-area school, and he will remain the responsibility of the state juvenile court system until he is 18, an Indiana judge ruled Wednesday. Hamilton County Circuit Court Judge Paul Felix rejected a request from the boy's attorneys that he be sent to a private treatment facility for shooting seventh-grade science teacher Jason Seaman and 13-year-old Ella Whistler during the May 25 attack at Noblesville West Middle School. The boy admitted responsibility for the attack and apologized during a hearing last week. The boy's admission in juvenile court is similar to a guilty plea in adult court. "I did not think it was sincere," Felix said during the teen's punishment hearing Wednesday. "No remorse was shown last week." The boy planned the attack on his own and had meant for it to be deadly, Felix said. "You went into the school intending to kill not just two people but many people," Felix told the boy. "You wanted devastation, an inescapable tragedy for the ages." Felix ordered that the boy be sent to the Indiana Department of Correction for placement in a state juvenile detention facility for rehabilitation. He will be placed on probation after turning 18. Defense lawyer Christopher Eskew said he worries that the youth won't receive the counseling he needs in the state juvenile system, arguing that most of its programs are for alcohol, drug or sexual abuse. "There's very little actual emotional treatment there," Eskew said. Prosecutors said during last week's hearing that the boy found the keys to a basement safe in his family's home, unlocked it and removed two handguns and more than 100 rounds of ammunition that he brought to the school in a backpack. Prosecutors said the boy "is obsessed with violence being committed upon innocent people." Investigators said that the day before the shooting, he filmed a video in his family's basement in which he showed two handguns and said: "Tomorrow's Friday, you know what that means. I have to take other people's lives before I take my own." Whistler survived after being shot seven times. The teacher, Seaman, was shot three times. He testified last week that the boy returned to his classroom from a bathroom break and opened fire. Seaman, a former football player at Southern Illinois University, said he threw a miniature basketball at the boy as he fired shots, and then tackled the youth and disarmed him. Investigators testified that the boy's online history was filled with searches for school shootings, including the day before the shooting, when he allegedly searched for "What was the largest mass shooting in America." He also searched for a "blueprint" of the Noblesville school.